The SEAM360 is the ultimate machine vision double seam can inspection gauge. The system is used for both three piece and two piece beverage and food cans. If you measure at a few points around the seam, using a micrometer or seam thickness gauge and destructive tests with a seam scope – you’re missing the most critical information! 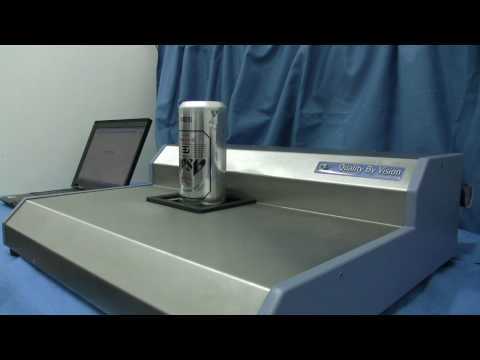 Instead of trying to measure every can (100%) but at a few measurement points, the SEAM360 measures every can’s total external surface area. This exposes many issues that were so far invisible to the operator! Using non-destructive optical technology, Quality By Vision’s new SEAM360 is capable of detecting all of these issues in a fraction of the time it takes to do a seam test and with no operator influence on the results! SEAM360 is the first system capable of checking every point on the seam, so there’s no chance of missing anything. Think of SEAM360 as the ultimate double seam gauge check. If there are issues, simply cut at the exact point where the problem occurs and inspect using SEAMetal double seam analyzer.